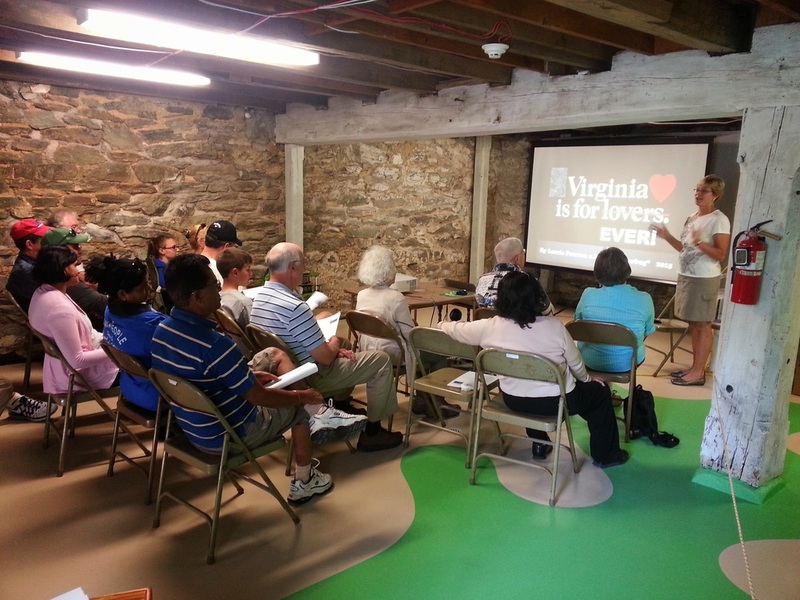 Volunteers have been essential to the success of the Appalachian Trail Museum, which opened in June, 2010 at Pine Grove Furnace State Park, in Gardners, Pennsylvania, near the mid-point of the Appalachian Trail. In its first season, the Museum received nationwide publicity for its grand opening, attracted more than 8000 visitors from 48 states plus 13 countries, and hosted several special programs. None of this would have been possible without the efforts of the dedicated individuals who spent uncounted hours renovating the historic mill building that houses the Museum, and the equally dedicated group who spent more than 1000 hours staffing it during operating hours. Just as the Appalachian Trail depends upon the efforts of its many and varied volunteers for continued maintenance and protection, the AT Museum needs a growing core of dedicated volunteers to build upon its initial success to expand exhibits and programming. Volunteers to serve as greeters (also known as docents) are needed to staff the museum during hours of operation. Greeters welcome guests to the museum and provide basic information in response to questions asked by those visiting and handle retail sales at our small gift shop. They provide a friendly presence; they are people who enjoy meeting other people interested in hiking, the outdoors, fitness, conservation, and the Appalachian Trail. Love of the outdoors is helpful, but you do not need to be an expert - no special knowledge is required. Being a greeter is a great way to make new friends, give something back to the community, learn more about the things that interest you, and share stories and experiences with others. Everyone is welcome to volunteer: outdoor lovers, hikers, educators, history buffs, students. Volunteers under 18 years of age need to be accompanied and supervised by an adult. You may volunteer to serve shifts weekly, bi-monthly, once a month, or even for a block of several days in a row, if you are planning an extended visit to Pine Grove Furnace. Orientations for new and returning greeters will be scheduled for late March and early April, and as needed when new volunteers sign on. For more information and to volunteer, contact Nathaniel Shank at manager@atmuseum.org, or by phone at 717.486.8126. 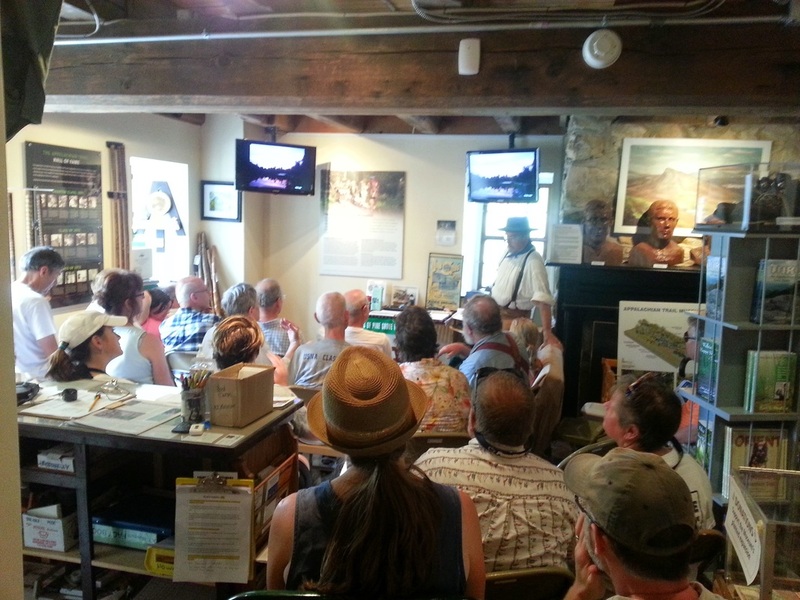 The Museum will offer weekly programs, Saturdays and Sundays at 2 pm, from Memorial Day through Labor Day, with the goals of educating the public, inspiring young people, entertaining children, preserving the Trail's natural environment, spotlighting our rich history, acknowledging our pioneer hikers, and in general celebrating all those who contribute to the A.T. community. Volunteers are needed for the Programs Committee to help with planning and set-up, and to serve as hosts/hostesses for the program presenters. We are also looking for a Program Coordinator to oversee the committee. The Programs Committee is also looking for presenters. If you have a talent, skill, story, or passion related to the AT, or would like to we would like to hear from you. To volunteer to serve on the Programs Committee or to present a program, contact Nathaniel Shank at manager@atmuseum.org, or by phone at 717.486.8126. Building Maintenance: Several individuals skilled in carpentry, plumbing, electric, or with general handyman experience, are needed to help with routine repairs and maintenance as need arises. Cleaning: While light housekeeping is performed daily by the greeters, one or more individuals are also needed to take care of more thorough cleaning on a monthly basis. Landscaping Maintenance: One or several volunteers are needed to handle mowing, weed control, and other landscape maintenance throughout the museum's season, April through October. To volunteer for to help with maintenance, contact Nathaniel Shank at manager@atmuseum.org, or by phone at 717.486.8126. Help is needed to consolidate, organize and catalog the museum's extensive collection of artifacts, currently in storage in Carlisle, PA. If you'd like to assist with this process, act as the Collections Coordinator or if you have items that you wish to donate, please contact Nathaniel Shank at manager@atmuseum.org, or by phone at 717.486.8126. We also are looking for a suitable place to centralize and store museum collections that are not on display. This should be a heated and air conditioned facility. Since most our funding comes from private donations, the Museum is constantly looking for new grants to apply for. This funding helps with the operation of the museum and the planned expansions of the basement, second floor and top floor. We are looking for a fundraising chair as well as people to help out with creative ideas, contacting potential donors or grant writing. If you are interested in helping in this important effort, please contact Larry Luxenberg at info@atmuseum.org or 845-708-5306 or Gwen Loose at info@yorkcountytrails.org.